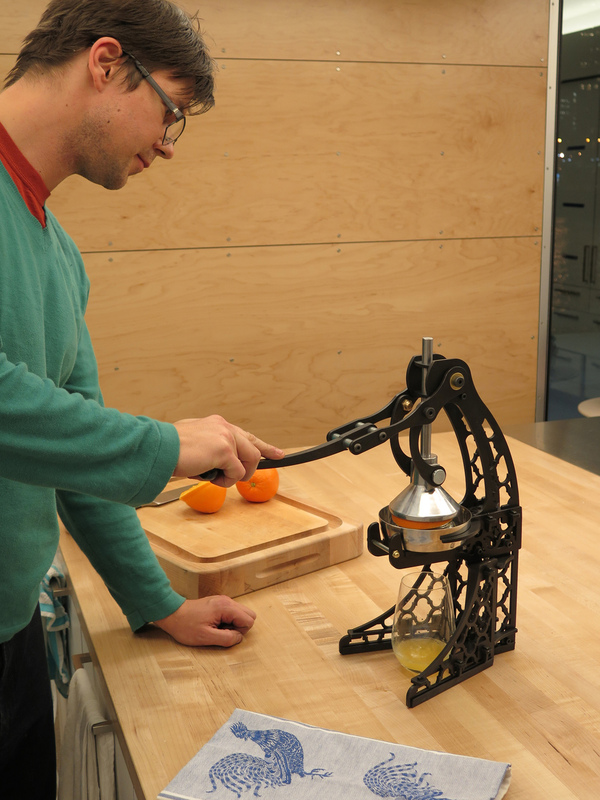 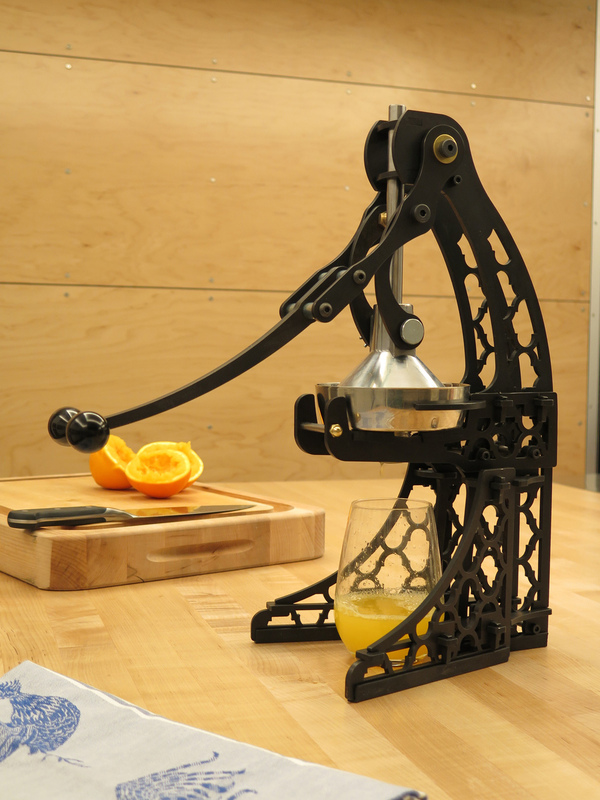 This juice press is built entirely of flat panels joined with metal mortise and tenons. 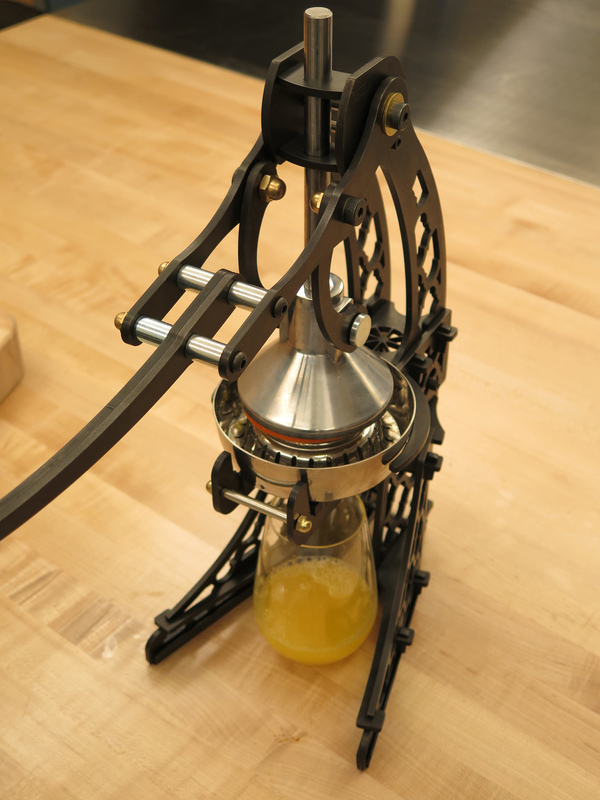 The panels were waterjet cut with a classic grille pattern and hold food-grade stainless and aluminum parts built for the Olympus juicer, the industry standard citrus press for restaurants and hotels. 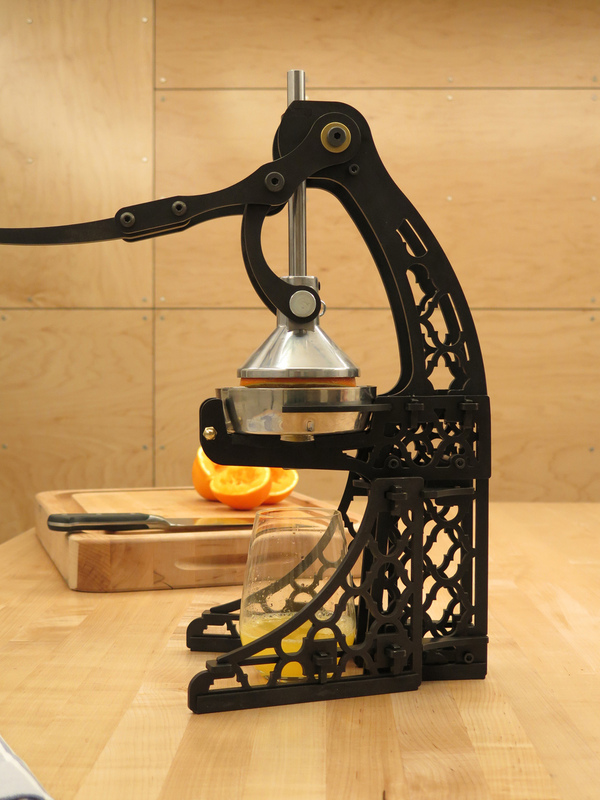 The decorative pattern and matte black patina on this juicer give it an old-world feel and make using it a spectacle for everyone.